Sixty-five years ago today, the Subcommittee on Large-Scale Computing Devices (LCD) of the American Institute of Electrical Engineers (AIEE) was formed, evolving in 1963 into the IEEE. 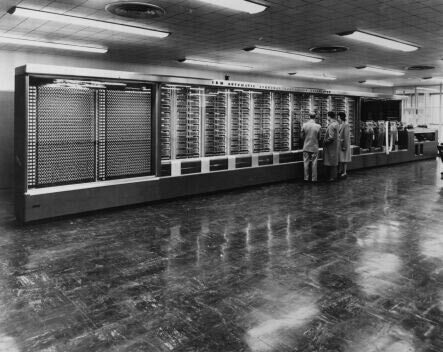 Also today, in 1944, the IBM Automatic Sequence Controlled Calculator (ASCC)–also known as the Harvard Mark I–the largest electromechanical calculator ever built was officially presented to, and dedicated at, Harvard University. Also today, in 1970, the first all-computer championship was held in New York and won by CHESS 3.0, a program written by Atkin and Gorlen at Northwestern University. Six programs had entered. Today, the World Computer Chess Championship (WCCC) is an annual event organized by the International Computer Games Association. This entry was posted in Computer history, IBM, This day in information. Bookmark the permalink.